Frances Lucas has served in higher education leadership positions for 34 years at six institutions and has either served as a Vice President or President for 28 of those years. She got her start in higher education as an active, engaged student leader at Mississippi State University (MSU), where she was president of her sorority, director of the Student Union Board, named Most Outstanding Senior Woman, listed in the MSU Hall of Fame, initiated into Who’s Who Among College and University Students, and honored by Mortar Board and Omicron Delta Kappa. Frances completed her course work for her masters and doctoral degrees in Administration of Higher Education at the University of Alabama. She also worked full time in the residence life department of the student affairs division. She rose quickly from being a hall director of a small residence hall to the director of the largest residence hall in her second year. In year three, she was promoted area coordinator, and in her fifth year, she became the Residence Life Coordinator overseeing the staff of all 18 residence halls. She returned to her alma mater, MSU, to serve as Assistant Dean of Students for three years. While there, Frances completed her dissertation for her doctoral degree and was named Mississippi’s Most Outstanding Young Career Woman by the international organization Business and Professional Women. At age 29, she was named the Vice President of Student Affairs (VPSA) at Baldwin Wallace College (BWC) in Ohio, making her the youngest VPSA in the country and the first female vice president in the history of BWC. During her six years there, she was named BWC’s Most Outstanding Female Administrator. Frances moved to Atlanta, Georgia, with her three-month-old son to assume the Vice President of Campus Life position at Emory University and led that division of 22 departments for eight years. During her second year, she gave birth to her daughter and learned about the challenges and joys of balancing life as an executive and a mother. She was the first female vice president in the institution’s history, and she received the Lifetime Achievement Award from the Division of Campus Life while working at Emory. At age 42, she was named the 10th President of Millsaps College and the first female college president in the history of the state of Mississippi. During her decade of leadership, the college experienced record enrollments and record giving rates by alumni, faculty and staff. Frances also served as president of several national and regional organizations during her tenure at Millsaps. During her decade-long presidency, she garnered many awards, including Most Outstanding Business Woman in Mississippi. She also won the highest award given by her sorority, the International Shield Award of Delta Gamma, for her exemplary leadership. Frances then became the Vice President and Campus Executive Officer for The University of Southern Mississippi, Gulf Coast (USM, GC). She worked tirelessly to acquire the federal monies needed to restore two of the five teaching sites that had been massively damaged by Katrina. In her third year, she was able to cut the ribbons on $36 million of completed construction that had not been planned before her arrival. 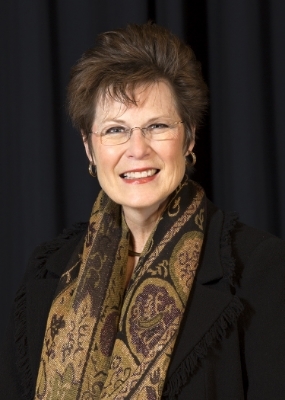 While serving as the VP and CEO of USM, GC for four years, she was given three coveted awards: Outstanding Gulf Coast Community Leader, entering the Roland Weeks Hall of Fame; Most Outstanding Woman of South Mississippi, as noted by the organization Business and Professional Women; and Most Outstanding Mississippi Woman in Education, given by the Women’s Commission on the Status of Women. During her time at USM, Frances taught in the masters and doctoral program of Human Capital Development. While teaching, her fascination for motivating employees, increasing productivity, and building healthy happy teams grew; leading her to start her own consulting practice in 2014.